Are you tired of writing screenplays in that archaic Courier font? Looking for something fun, new, and marginally different? Well rest those weary eyes on Courier Little Foot; a brand new font that feels pretty much the same! As millions of scientists know screenplays use Courier because it’s easy to guestimate screen time based on the number of pages. Typically 1 page equals about 1 minute of screen time. This is because Courier is a monospaced font. That means every letter has the same width, whether it be an “i” or an “m”. In non-monospaced fonts like Helvetica those two letters would have very different widths. This could lead to large gaps between letters making it look unattractive to readers. The solution to fill those gaps was serifs. Serifs are those little “feet” that hang off the edges. They help Courier stay proportional. However they also make it look boxy. Newspapers typically favor serifed fonts too, such as Times New Roman. Serifed fonts read well on paper. But times have changed. Most websites, blogs, and even your computer’s OS menus favor sans-serif fonts such as Helvetica. They read cleaner. They look prettier. Studies have even shown people read sans-serif fonts faster. Yet here we are writhing in the abyss, still writing screenplays with this antiquated font. And you can’t just go swapping it out willy-nilly with Ariel. Not only will the script look weird but your page count will change dramatically. 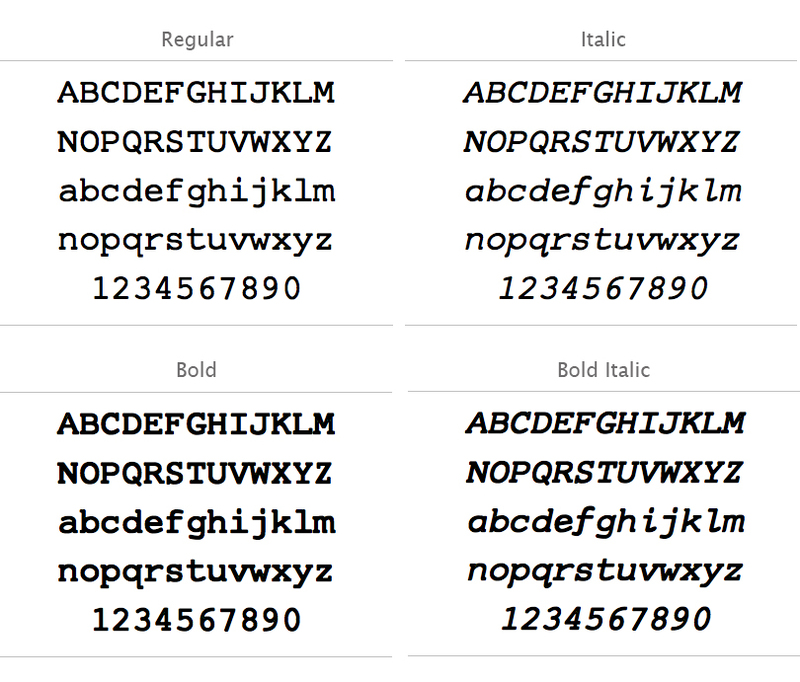 A variety of sans-serif monospaced fonts can be found on the web. I’ve tried several. Unfortunately they all looked too “computery” to me. My screenplay didn’t look like a screenplay anymore. I wanted something between the two worlds; something that both looked great on the screen and the printed page; something that looked like a screenplay should, but reads faster and cleaner. Courier Little Foot was designed to minimize the serifs of each glyph, but not eliminate them. It’s a subtle mutation that brings a crisp clean read while maintaining your pagination. Courier Little Foot was specifically designed as an alternative to Courier and Courier Final Draft. Meaning you can replace them in programs like Final Draft and see no difference in page count. I think we can stand to update our font. That being said I’m aware of how arduous a task it is to get an industry to change. I thought I’d take a shot at a not too drastic alteration. Maybe this will inspire others to do the same, or even go a step farther. I’m no font-jockey. Just a human with a computer. Same as you. Why is it called Courier Little Foot? The minimized serifs, and a nickname for my daughter.